Yes, you can set up one of these even if you’re not a full-time employee. They’re sometimes referred to as “one-participant 401(k) plans” (though your spouse can also participate). And since you’re both the employer and employee, you’re allowed to make contributions as both. These solo plans work similarly to employer-provided 401(k) plans; they have comparable rules and requirements. And they’re complicated. For example, you can make elective deferrals of up to 100 percent of your earned income until you hit the annual contribution limit of $18,000 in 2016 (or $24,000 if you’re age 50 or older). Warning: “Earned income” as the IRS defines it for self-employment is a complex concept that requires some advanced calculations. If you want to explore this option, please let us work with you on it from the beginning. You want to be sure that you don’t exceed the maximum contributions as both employer and employee. If you’ve ever worked for another company as an employee, you may already be familiar with this concept. SEPs are traditional IRAs (“SEP-IRAs”) that employers can set up for employees; they can also contribute to them. They’re bound by the same rules for investment, distribution, and rollover as traditional IRAs. Here, too, you can make contributions as both employer and employee. And like one-participant 401(k)s, the calculations required are daunting. We can help with these. These options are of course available to self-employed individuals. Each has its own tax implications, and they’re not as difficult to understand and implement as SEP IRAs and one-participant 401(k) plans. If you’ve never explored these retirement vehicles, you can get more information here. Again, we’re available to help you cut through the IRS language. 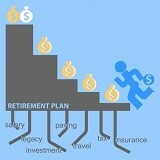 If you’re self-employed and plan to be for the rest of your career, retirement planning is absolutely critical for you. Some sole proprietors say that they just plan to work forever, so they don’t need to have a sizable nest egg ready for retirement. This line of thinking always throws up red flags for us. Depending on your vocation, your physical health, and your overall attitude, this may work for you. Their friends are all retiring, and they feel like a failure because they’re unable to. They don’t have the energy they expected, and business is suffering. The fast-paced, ever changing world we live in has passed them by, and there’s little need for their product or service anymore. They feel bad because they haven’t amassed an estate that they’ll be able to leave for their children or grandchildren. You’re in a tenuous situation as a self-employed individual planning for retirement. It’s simply harder for you to sock away the amount of money you’ll need for a comfortable retirement due to the many expenses required of sole proprietors. We want you to have the option to retire at a reasonable age and to do so comfortably. If you expect to still be flying solo at the typical retirement age, we’d really like to help you create a workable plan to do so.